When Hotel Boulderado opened its doors in 1909, the City of Boulder was dry. Once home to dozens of saloons, breweries, distilleries and gambling halls, Boulder reformed its evil ways in 1907 and outlawed the sale of demon rum and spirits within city limits. In 1969, the first legal license to serve hard liquor in a restaurant was issued to the Catacombs Bar and Grill located in the basement of Hotel Boulderado. Today License No. 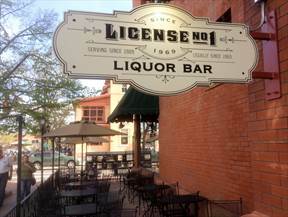 1 Liquor Bar continues with the very same liquor license first issued in 1969. We are proud to continue Hotel Boulderado’s legal tradition.